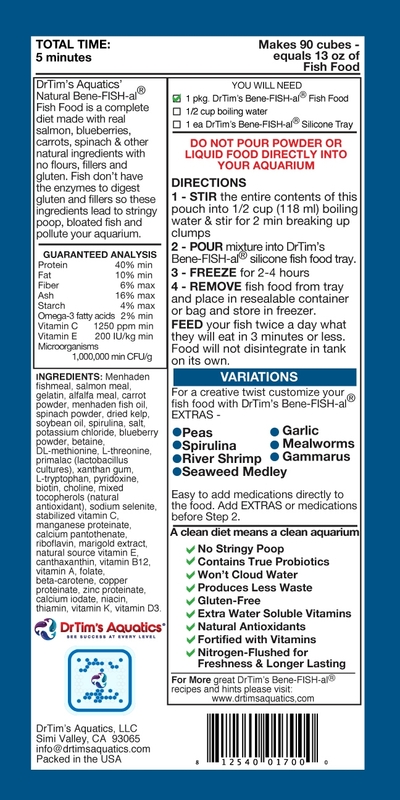 One packet (0.88 oz) of Freshwater fish food makes 90 cubes of frozen fish food using the DrTim's silicone tray which equals 10oz of traditional flake or pellet fish food. Note: You need a tray or mold of some type to pour the food in to so it can gel. 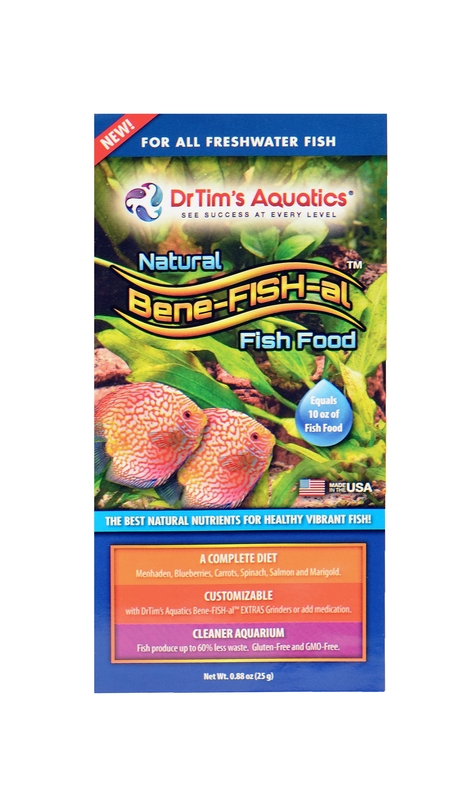 I love this fish food! Easy and fun to make, and last a long time. My fish loves the food and my tank stays clean. I'm so glad I found out about this food!